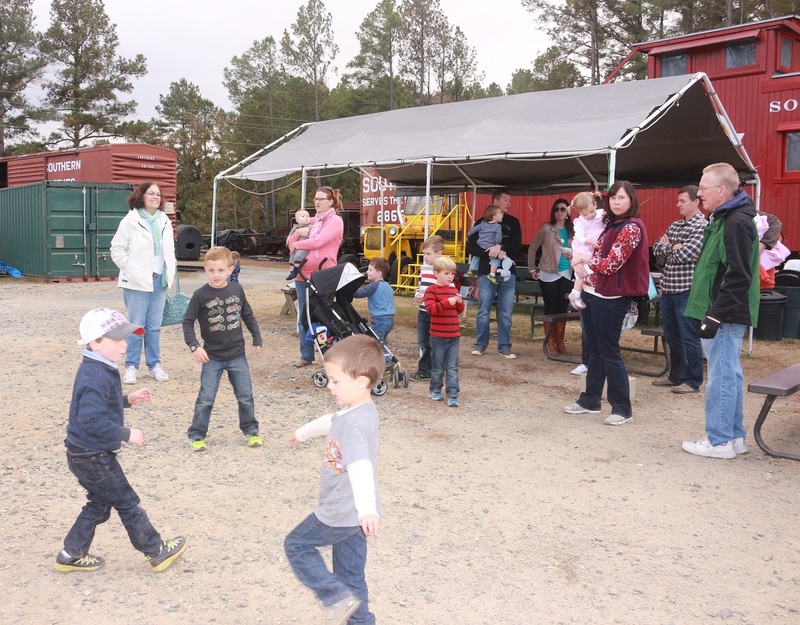 Celebrate a special occasion in our Birthday Party Caboose at the Triangle’s Train! Our vintage 1913 caboose is available for rent as a party room for birthdays and other events. Tables and chairs are provided, so all you need to do is bring the party favors, decorations, refreshments and guest of honor! The caboose has two rooms–this is a real caboose, so these rooms are narrow. The larger room seats 12-15 children or 8-12 adults. The second room has a small table to store your party items, etc. There is an outdoor public area outside of the caboose with picnic tables, available to all of our visitors on a first-come, first-serve basis in our rail yard. The caboose rents for $125 for two hours. Parties may be booked for 10 a.m. until noon; or 12:30 p.m. until 2:30 p.m. If you would like the caboose from 10:00 a.m. until 2:30 p.m., you can book both rental periods for $225. The caboose is not part of the regular train rides offered in our rail yard and does not move during parties. 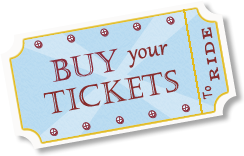 However, if your party is scheduled on one of our Ride Days, you may purchase tickets online and in advance for your group at regular ticket prices. On some weekends, caboose rentals are timed to coincide with convenient train departures after the rental period. To book your 2019 Birthday Party Caboose, please see the schedule below. The Birthday Party Caboose is available on all 2019 ride days, Operate-a-Loco days and by special request with sufficient advanced notice. For questions, please email partycaboose@triangletrain.com someone will reply to you, normally within one business day, but please be patient and courteous with our 100 percent volunteer staff.